From Tatjana Soli, The New York Times bestselling author of The Lotus Eaters, comes a breathtaking novel of a California ranching family, its complicated matriarch, and the enigmatic caretaker who may destroy them When Claire Nagy marries Forster Baumsarg, the only son of prominent California citrus ranchers, she knows she’s consenting to a life of hard work, long days, and worry-fraught nights. But her love for Forster is so strong, she turns away from her literary education and embraces the life of the ranch, succumbing to its intoxicating rhythms and bounty until her love of the land becomes a part of her. Not even the tragic, senseless death of her son Joshua at kidnappers’ hands, her alienation from her two daughters, or the dissolution of her once-devoted marriage can pull her from the ranch she’s devoted her life to preserving.But despite having survived the most terrible of tragedies, Claire is about to face her greatest struggle: an illness that threatens not only to rip her from her land but take her very life. And she's chosen a caregiver, the inscrutable, Caribbean-born Minna, who may just be the darkest force of all. 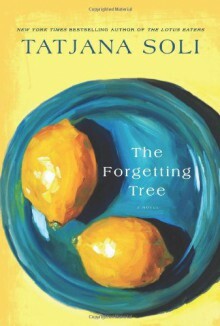 Haunting, tough, triumphant, and profound, The Forgetting Tree explores the intimate ties we have to one another, the deepest fears we keep to ourselves, and the calling of the land that ties every one of us together.